One of the more challenging aspects of traveling in a Prius Campervan is cleaning yourself. 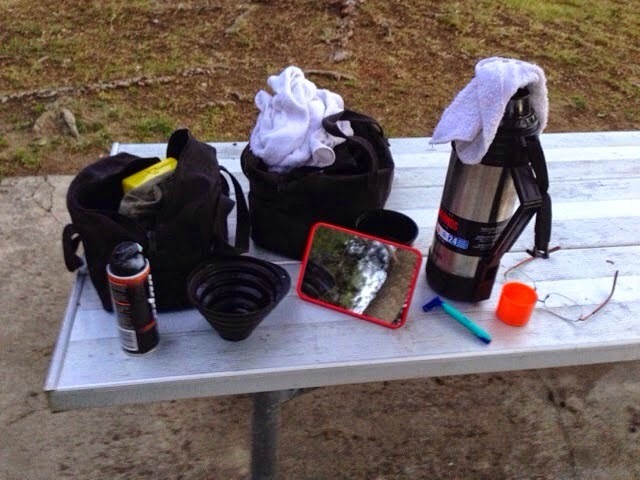 As my last post indicated you need to use a hike camping trip as a bottom baseline for the lowest accmodations in addressing personal hygiene. Now think of living in and out of your Prius and how could you make the hiking experience that much better. Your problems are generally solved in staying at a private campground every night as most, but not all, have hot showers and flush toilets. The problem is that you can miss out on some fantastic places to stay if you only stay at private campgrounds, not to mention the $30.00 and up cost per night that adds up quickly. Especially if you take a road trip like mine of106 days. The other issue is how well the bathrooms are maintained too. If you look for camping resorts that have better bathrooms you may find they don't take tents and if they do they will not want you sleeping in your car. I never looked to stay at a resort as I did once last year with my Class B Campervan. During this years travels withy Prius I stayed at private, county State, and Federal campgrounds and there are no good standard for what to expect for toilets and showers. Not all national parks have showers and may not have flush toilets, so if you can't settle for anything other than hot showers and flush toilets you need to do a lot of planning ahead to get what you want, including the quality of the experience. Let's assume you decided on the hot showers and flush toilets. There are many types of showers, such as coin operated, token operated, hold the button to get water to flow, or even push it in and get 5 seconds of water flow. The quality of how well they are maintained and upkeep varies all over the place too. Water can be hot or warm and flow can be a good stream or a fine spray. I had showers with the hook missing on the door to lock it. I have had no clothing hooks to having 5 of them. I have had a bench that held my two bags but there was no shower curtain and the seat and bags got wet. I stayed at campgrounds with hot showers but the building isn't heated and I am talking it is below freezing outside in the am. I would often take the shower in the eve as a hot shower is better at 50 to 60 degrees inside than a shower 40 degrees inside. The variety of toilets at campgrounds range from pit (composting) toilets to flush and then quality of each ranges too. One place I stayed at had a sign that they were waiting parts for the solar fan and you could tell as the smell was a bit tough to take. I hope you get the picture that the quality of showers and toilets is all over the place. I am not trying to convince you not to travel and camp, you just have to be prepared. 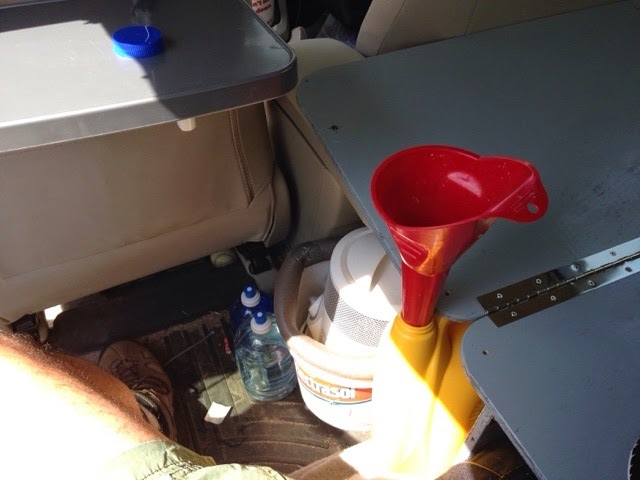 Most Vandwellers have a plan to deal with hygiene as many Boondock on Federal Lands or stealth in parking lots or city streets where they need to have alternatives. Many use public places toilets and for showers they get a gym membership and use their showers. This wouldn't work for me as I kept moving so often. My plan for dealing with hygiene in the Prius was that I wanted to do everything that I did in my Class B Campervan in the Prius. My Class B Campervan didn't have a shower inside and I didn't use the flush toilet. I like getting my hair washed every day possible. As noted in another blog I wrote about how I made hot water. I made hot water for cooking as well as bathing. Putting the hot water in the thermos gave me a good volume of hot water for the day and into the next day. I chose not to use a solar shower bag although the bag that REI sells that you pump water with your foot on a bulb was intriguing, there wasn't enough space in the car and not being stationary there wasn't a good way to heat the bag with solar power. You could heat water on a stove and manually add it. I have a small basin I used to wash my hair and wash up the rest of my body. When washing my hair I would sit in my seat behind the driver and put in a cup of hot water and cool it with the squeeze water bottles to the right temperature. Then with a face cloth I would wet my hair. 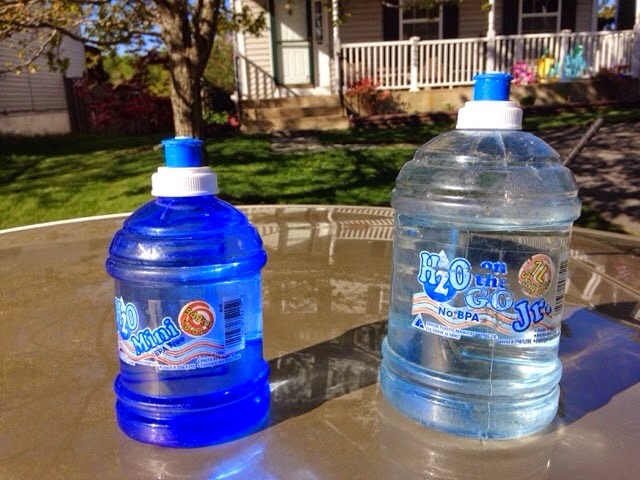 Then soap my head and then rinse my head with the other squeeze bottle that had tempered water. I understand that I have short hair so this would be more difficult for people with longer hair. The longer the hair the more water you will need. The soapy water that remained in the basin from washing my hair is the bused to wash the rest of me. When done I pour the water out of the basin into my waste water container. My waste water container is a large laundry detergent bottle that I slide a funnel into it so I am less apt to spill. I then rinse my body by putting clean hot water in and temper it in the basin and rinse off. This is discarded to the waste water container. I use about a quart of water to do all of this. I shave using a small collapsable plastic parts container that I fill with hot water and wet shave. This water when done is discarded to the waste water container. If washing my hair and shaving outside I can just toss the water. Waiting for the water to boil takes about 20 minutes and this is why I preheat water in the thermos the evening before so I don't have to wait in the am to make hot water. I usually want to get up and get going so il evening I heat the hot water the evening befit the thermos is so efficient the following evening it is still hot. I certainly would opt for using the shower when there is one. I may skip a day shaving or use a mini electric razor to shave. As for using the toilet, I use public restrooms or the campground toilet 99% of the time but there are times and places that it isn't practical so most Vandwellers have either a portable potty or a pail potty of some various kind. Many don't like portable potties as it requires chemicals water and management and dumping. There are various pail potties, some are composting and others are bag type. 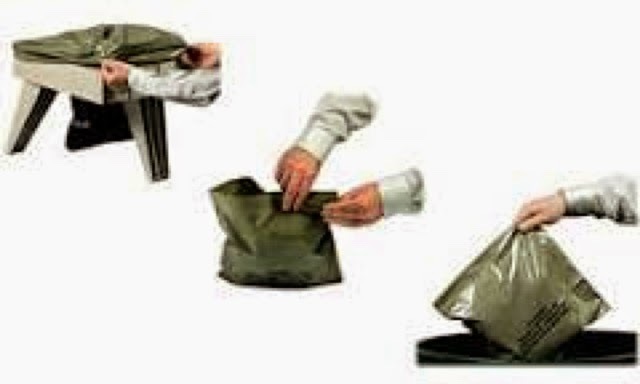 I will not go into detail but Walmart, Bass Pro & REI sell bags and pail covers and complete stand with bags. Above is the Luggable Loo. You can buy the seat and use your own pail or buy the seat with a pail. I carried and used a small pail and bags for when nature called and public toilets were not available. 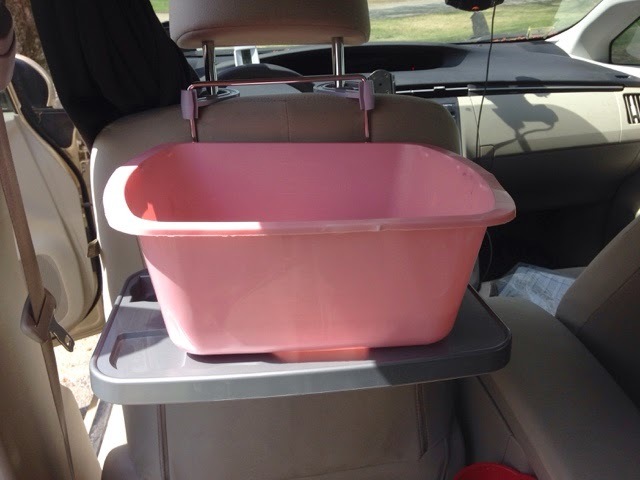 My pail was small to fit my available space I had in the Prius. 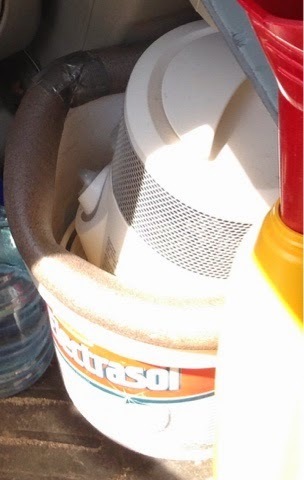 Above the picture of the electrosol bucket was my all purpose bucket for the trip. 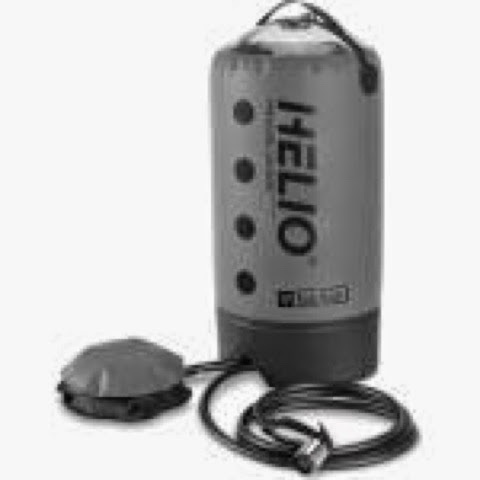 I used it for my loo, hauling campfire water, storing my electric heater inside (I only used once and would not bring again). The foam ring is pipe insulation for comfort. I had the folding frame with 3 collapsable legs like the picture above, but it was too big for the Prius. I will live it to you to check out these options online or in a store. I can say that although these options may not be your choice of comfort, a bag system is very sanitary and depending on how bad the restrooms are where you camp you may find this a better option. As with camping if you want to travel and need one of these options get it and try it at home first before your first trip. 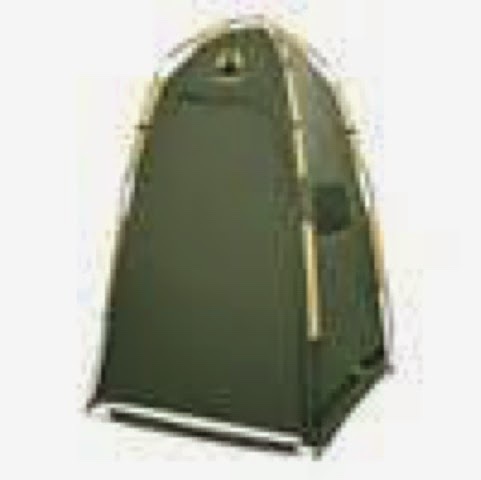 There are a number of folks that buy a one person privacy tent (vertical) that they set up at their camp for washing and toilet. This is a good option for a couple traveling in a Prius as it provides privacy. It also is good if you are Boondocking in one place for awhile with no available toilets. I brushed my teeth with fresh water from the sneeze bottles and then used the funnel & waste water container. Like last year I cut my own hair on this years trip too. The large red cutters with various length attachments works well and I can cut the back of my head by feel. The sides and top I need my camp mirror seen on the picnic table above shaving photo. I power this through my 400 watt inverter. 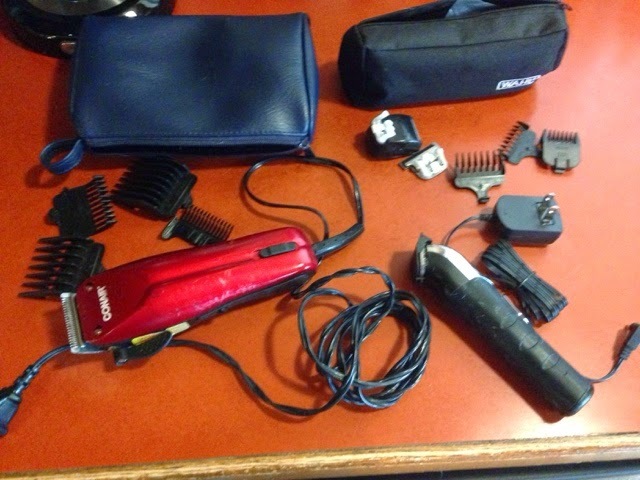 The small trimmer that is rechargeable is good for trimming and you can change the head on it to a shaver and shave this way as well. 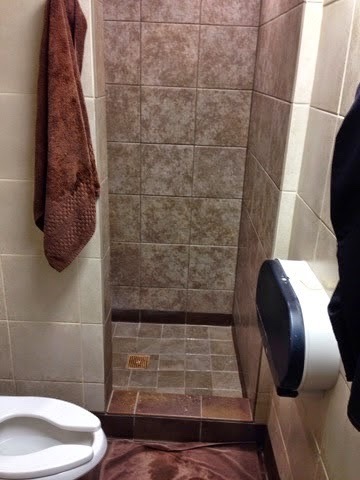 Like most people I would want a shower from time to time while primitive camping so I will head to a Pilot or Flying-J truck stop and get a hotel quality shower for $12.00. 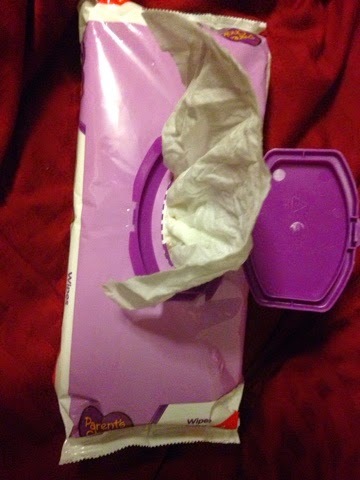 Since I didn't have running water I would wash my hands during the day with wet wipes. 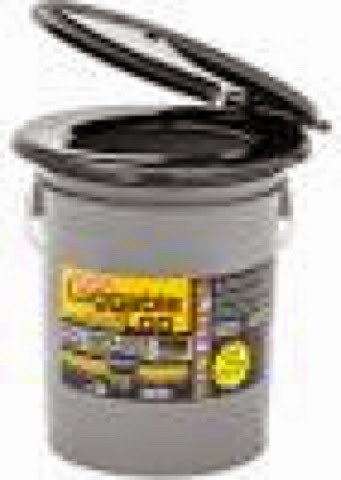 They were handy for cleaning hands before handling food and when primitive camping I would conserve water. 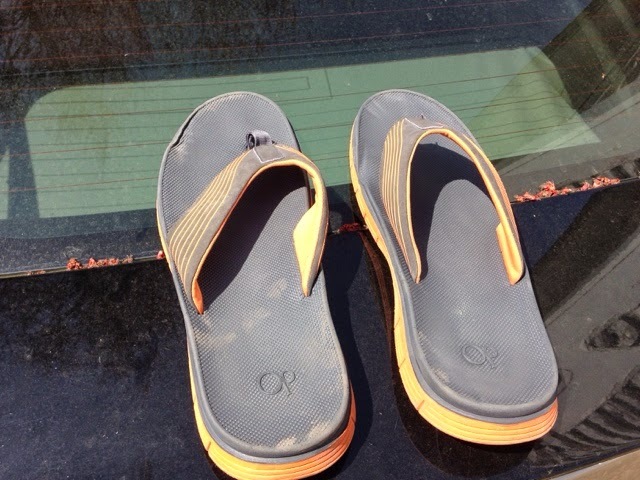 No matter what you decide, try it at home before you travel so you are prepared on the road. Then test what you plan on a weekend trip. Thanks for that. I'm planning a three week trip and this gives me some good ideas.